One of the most amazing things that the alpacas have been able to do is putting smiles on faces, and helping people that have challenges. 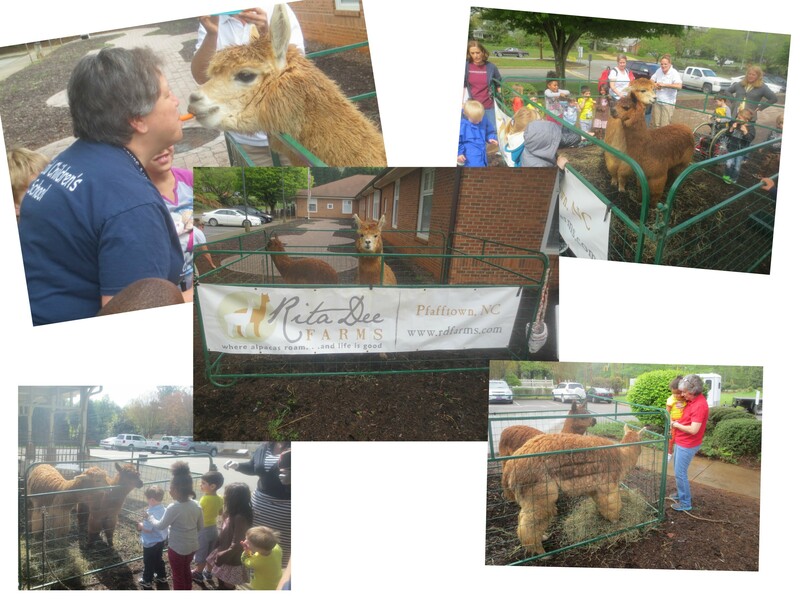 Pet therapy is well documented using alpacas (one such site is: 8 Amazing Therapy Animals) . Rita Dee Farms was fortunate enough to get a wonderful opportunity to visit The Special Children’s School . The faces glowed from the students to the adults! Such a great time. My search for the mysterious dung beetles is over. With shovel in hand, I dug deep in the alpaca pasture yesterday, were I saw any obvious beetle holes thinking it would be their current habitat. Unfortunately, all sites were abandoned. So, I waited until I found fresh soil sitting like an ant hill by one of the holes and started to dig. What an amazing find. 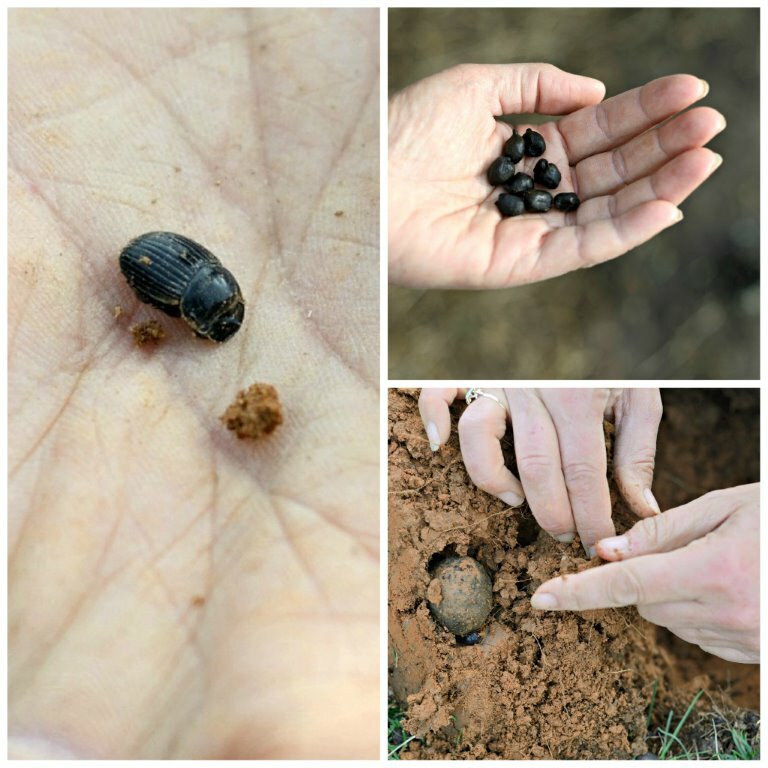 I’m sure dung beetles have been a part of this Carolina landscape for quite a while. There are huge deer populations in this area, and it is herbivore feces they crave. It wasn’t until I started poop scooping that I notice the evidence of their existence, but never once have I been able to get a glimpse of one. Dung beetles are nocturnal. They live in the underworld during the day and only come out to play at night. There are also three types—rollers, dwellers and tunnelers. The little guy I discovered is a rollers. 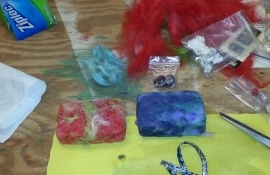 I figured, since alpaca poop came in nice little bean size packages, they could save themselves the trouble of rolling. No, they continue to roll until they have a “bigger than a golf ball” size package for them to feast on at a later time and feed their babies. You won’t find much research on dung beetles and their relationship with an alpaca farm. Research has only been done with beef, dairy and swine. However, I can tell you, these little jewels aerate the soil, help to decompose at a much faster rate, and add nutrients deep into the soil. Since I have rollers, I don’t have to worry that I might damage their habitat when raking or vacuuming the pasture. If you have dwellers, you wouldn’t want to disturb those areas. Also, of great interest to me is, Ivomectin, the drug most alpaca farmers use to worm monthly as a preventative against Meningeal worm, will kill an dung beetle dead! I plan to keep the environment around this farm free of pesticides, so they can prosper. The scientific name of this beetle shown here, will remain nameless until I know for sure what he is. I posted on Instagram saying he was Dichotomius Carolinus because of his prominent striations. Sorry for the misinformation. Come to find out, D. Carolinus is not a rollers…so, back to the drawing board. Anyone care to make a more intelligent guess? I’m leaning toward Geotrupes blackburnii. Rita Dee Farms is trying to do our part to ensure we preserve the amazing ecosystem that has developed since we started our alpaca farm. This will be our second year in using Fly Eliminators to manage pest flies. This is done by purchasing a monthly supply of hatching parasitic wasps from April through September that feed upon and breed within developing (pupal) stages of flies, eliminating the adult pest fly. The adult female fly lays her eggs wherever there is decomposing organic matter. Within a short period of time, the microscopic larvae (maggot stage) burrow into organic matter and eventually develop into pupae (cocoon stage). 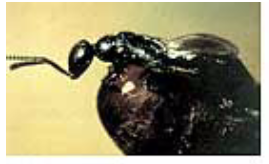 The female Fly Eliminator is a gnat-sized parasitic wasp which seeks out her host and deposits her eggs inside fly pupae. These eggs begin to grow and feed on the developing fly, thus stopping the adult pest fly from hatching. Fly Eliminators reproduce in 2 to 3 weeks, constantly reinforcing the beneficial insect population. Unfortunately, flies reproduce at a faster rate than Fly Eliminators; therefore, they must be replenished on a regular basis. We purchase our management program from Arbico-Organics, a company that has focuses on natural solutions that will not harm the environment for over thirty years. Click here to get more information about fly eliminators. The site features horses, but these eliminators work on all livestock. 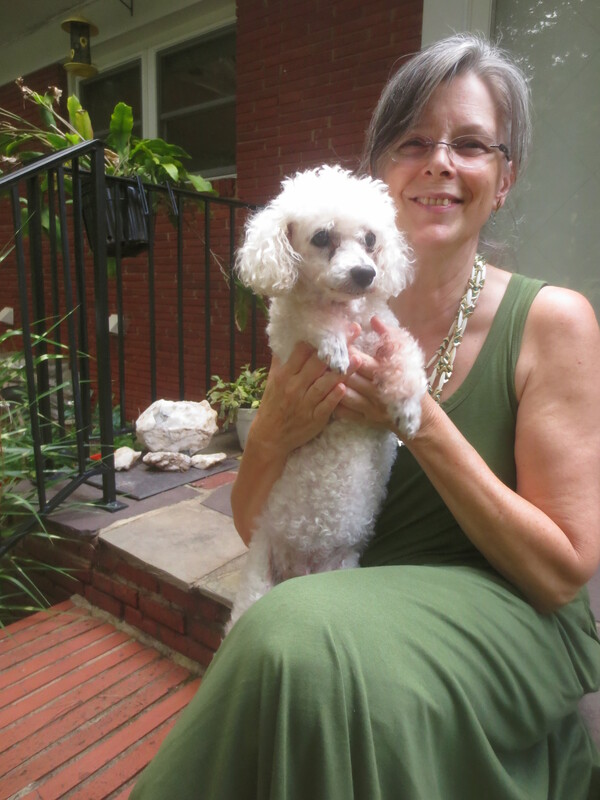 Exposed to knitting and crochet as a child, Carolyn Penny became the youngest member of a weaving guilds in Raleigh and Chapel Hill, as she learned to weave at the Pullen Arts Center Weaving during the 1970’s. Self-taught to spin, she developed a line of yarns that were vended at craft shows in North Carolina. As her dance career took her to Reno, NV , she created woven goods in her spare time for the Sierra-Nevada Museum of Art and the performers of the Hello Hollywood Hello, Don Arden show where she was employed as a professional dancer. Where ever she moved — Virginia, Germany, Nevada, North Carolina— a trail of weaving friends, shows, demonstrations, and projects proliferated. 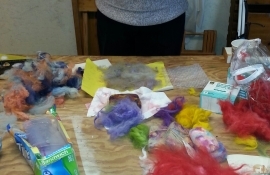 Carolyn returned to her love of spinning with her first visit to an alpaca farm in February of 2014. Vintage 1970’s spinning wheels from Germany, Australia and California joyfully refurbished have beautifully rewarded her efforts and are back in service, currently supporting a number of alpaca farms in North Carolina with the creation of yarns and this season … the creation of fiber arts end products. 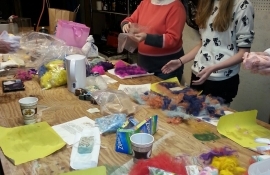 Passionate about encouragement of the next generation to pick up the torch for the unique creativity and care that only hand-crafted items can offer, she encourages all to see the possibilities and come join the fun! Some of her best spinning designs can be found at Design Archives Emporium Winston-Salem location where she creates using Rita Dee Farm’s baby alpaca. 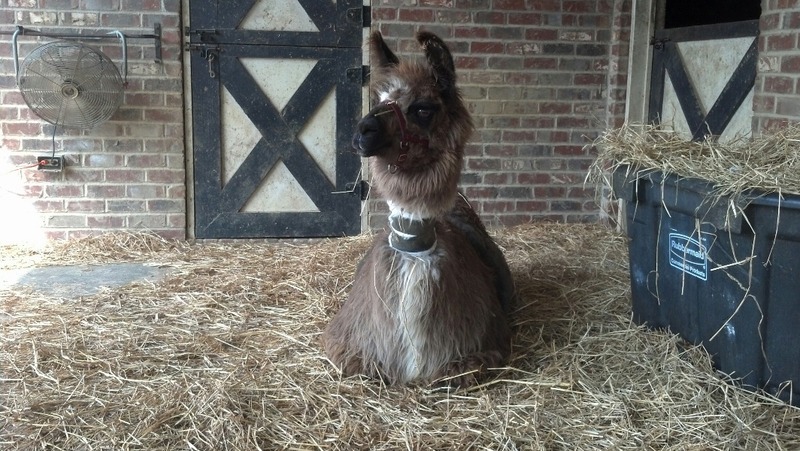 Many of you have heard or read about the murder of Mighty, a guard llama, and she guarded her herd literally with her life on the farm owned by Tammy Limer. If you want the details, you can read the story of her gruesome death here – http://tinyurl.com/Mighty-murder . In honor of Mighty’s memory, Tammy is raising money for the Southeast Llama Rescue (SELR), a non-profit organization that acts in situations where the owners are not able to keep or maintain their llamas or where animals have been seized by authorities. SELR takes them in and ultimately finds new homes for them. Funded entirely by private donations and adoption fees, SELR assists new llama owners by providing basic care information and connecting them with local “mentors” who are able to provide assistance on a more personal level. 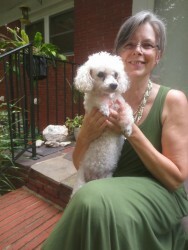 You can learn more about SELR here: www.southeastllamarescue.org . We here at Rita Dee Farms send our thoughts to Tammy Limer and her herd, and are asking that you consider directing any donations that you are led to offer to this very worthwhile organization in honor of Mighty. For more information, please feel free to contact us here at Rita Dee Farms. Thank you for helping us support our friends. 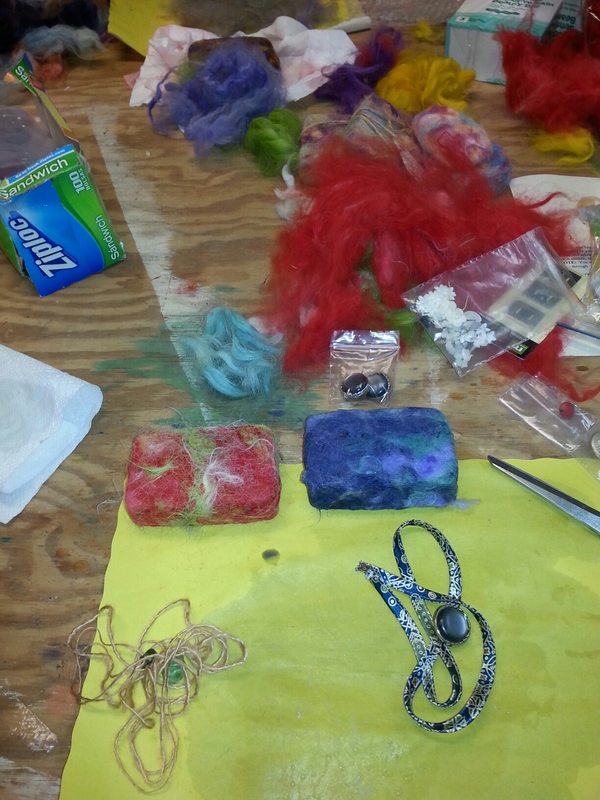 On Saturday some great ladies got together, and learned how to use wet felting to make designer felted soap. 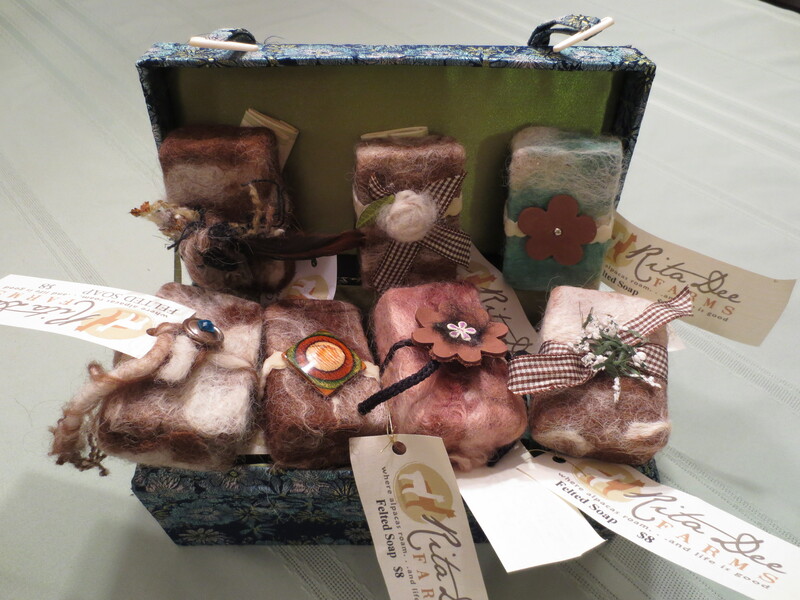 Using homemade soaps made by Melisse Hopping and her husband, workshop attendees made their beautiful felted soaps. Be on the lookout for future workshops, including online workshops that will be accessible from the website! Special thanks to all those attending, including Tammy Limer from Borderline Farms, Lyn Kessie from Keepsake Aplacas, Melinda Liles, Melisse Hopping (for hosting and soap!) 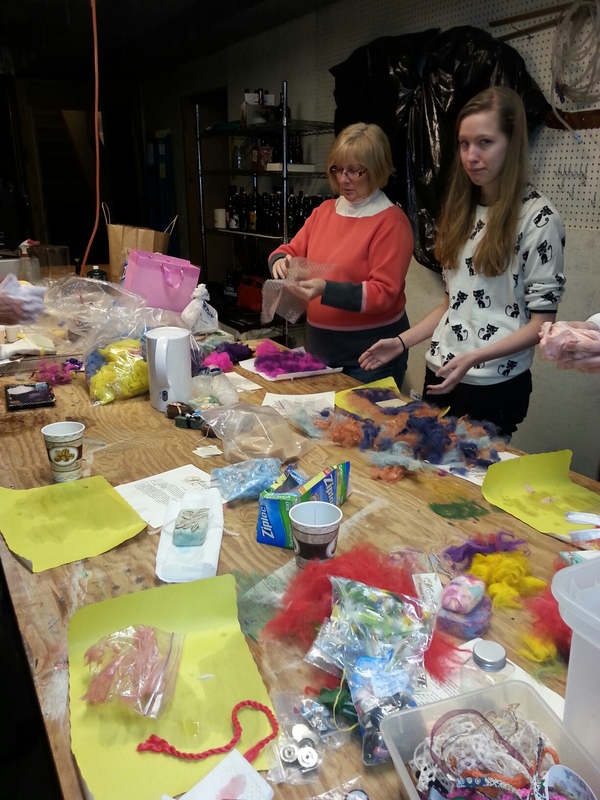 from Vinca Hill Fiber Company, plus all the others that took the workshop. It was a lot of fun! If you are interested in hosting this event at your house, email us! 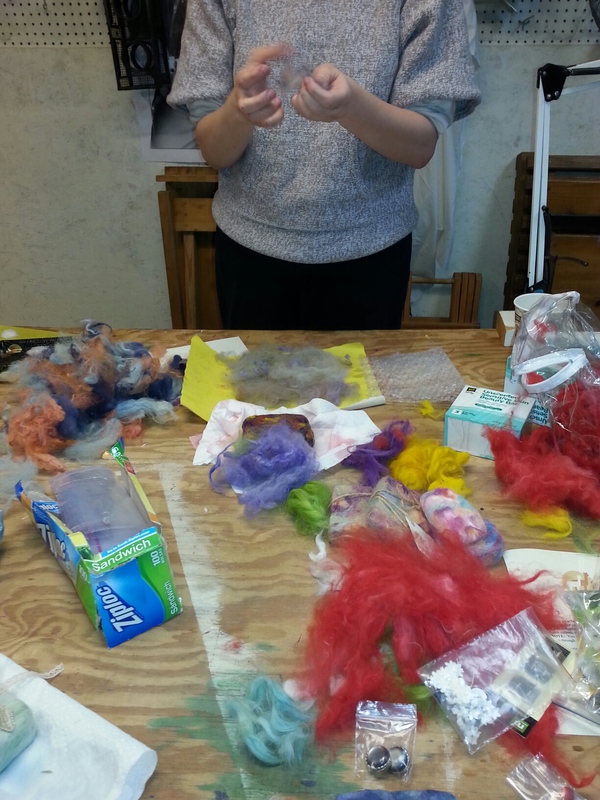 We will be glad to arrange a wonderful wet felting workshop. Enjoy these pictures from the event. We have beautiful alpacas that are available to purchase! They are a great addition to your farm, or help you start a farm of your own. Visit our Alpacas Available page for more information.